Children and sleep, or to be more specific a lack of sleep, is a common topic for discussion. The accumulative effects of poor sleep can be significant for a growing child. A stress response in the body triggered by a lack of sleep can create a cycle of mental exhaustion, which in turn impacts on a child’s learning, concentration, behaviour and overall mood. While the physical and behavioural impacts of poor sleep are usually clear, the impact on the child’s nutrient status, which is vital for growth and development, are not always so obvious. To protect and maintain a nutrient balance there are some key recommendations, including foods and lifestyle factors, which can be implemented throughout the day to help rebalance sleep cycles and support cognitive development and behaviour. The National Sleep Foundation recommends the amount of sleep children need ranges from 14 hours for ages 1-3, reducing to 10 to 11 hours for school-aged children. Sleep is when the brain begins “filing” the day’s information, making a state of relaxation imperative for brain development. Children who have had a good night’s sleep shouldn’t feel tired during the day, but at bed time should be able to fall asleep easily, stay asleep at night and wake up feeling refreshed. Nutrient rich foods – Calcium and magnesium are key nutrients for sleep, which work together to calm the body relaxing nerves and muscles. Many children’s diets can be low in magnesium so including foods rich in these nutrients during the day may be helpful. Some calcium rich foods, which could be included at lunchtime or for snacks, include cheese, kale, watercress, sunflower seeds, yoghurt, broccoli, whole milk and cottage. Magnesium rich foods include brown rice, apricots, dates, cheese, avocado, sunflower seeds, peas, banana, blackberry, broccoli, cauliflower and carrot. Other foods that can promote calmness are foods that are high in tryptophan, which is used by the brain to produce our sleep hormone. Tryptophan rich foods include avocado, cheese, chicken, cottage cheese, eggs, turkey, yoghurt and oats. Balancing blood sugar – Keeping a child’s blood sugar levels balanced throughout the day will impact on their blood sugar throughout the night. Choosing appropriate snacks and lunchtime menu planning are key. Swapping white refined carbohydrates for wholegrain options and ensuring meals and snacks include a good quality protein can help to slow down the release of sugar from foods and support sustained energy levels throughout the day until the next mealtime. Some examples include combining apple and cheese, rice cakes and cottage cheese and berries with yoghurt. Light/outdoors – Research has shown that light exposure during the day impacts on sleep. Greater exposure to sunlight induces far deeper nocturnal sleep. So planning outside time for children especially during the winter can be an important contributor to a good nights sleep. Exercise – Keeping children active throughout the day can help to reduce restlessness, develop calmness and a sense of wellbeing, which also helps to reduce stress levels all factors, which promote sleep. Talking to children about the importance of sleep can help them to understand the link between what happens during their day and what needs to happen in their body whilst they sleep. Sharing their own bedtime experiences and routines can be a valuable discussion and help to identify children that might benefit from additional support. Talking to parents about the above recommendations may also be helpful specifically for children that appear particularly tired throughout the day and those that bring packed lunches. If children are still struggling to sleep, other considerations for parents include reviewing the bedtime routine, limiting exposure to digital screens including tablets computers and TV before bed, reducing exposure to stimulants including high sugar, caffeine in chocolate, fizzy drinks and testing for possible food intolerances. The combined effects of good nutrition, exercise, light and good quality sleep can be huge in supporting a child’s development, growth, behaviour, concentration and mood. The value of sleep can not be underestimated, and finding the right balance is key. The Food Teacher, Katharine Tate, is a qualified nutritional therapist, teacher, mum, and entrepreneur who has over 20 years experience working with children and schools in the UK, New Zealand, and Hong Kong. She has founded The Food Teacher brand that combines her passion for education and nutrition to deliver a healthy childhood, focusing on promoting family health through food and lifestyle. 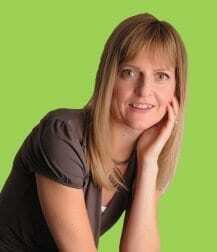 For more information, visit her Facebook page, follow her on Twitter or email her at info@thefoodteacher.co.uk. You can also visit her website to find out more and subscribe to her newsletter.